The personal injury attorneys at the Law Offices of Gregory Krasovsky provide legal support and representation to plaintiffs pursuing a slip and fall lawsuit. In order to successfully secure a slip and fall settlement, it it important to work with an experienced slip and fall lawyer. At the Law Offices of Gregory Krasovsky, we work tenaciously to help our clients receive just compensation for their injuries. Contact a slip and fall attorney today and schedule a free consultation. Has the negligence of retail outlet, workplace, or government office caused you to fall and seriously injure yourself? You are not the only one. 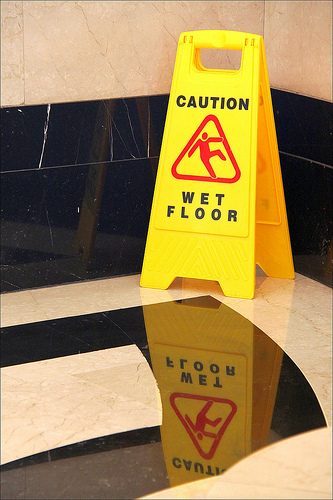 Slip and fall accidents are amongst the most common types of premises liability cases; however, owners of premises have strong defenses against such claims. This is why you need a competent and clever lawyer to prove without a reasonable doubt that the owner of the establishment was to blame. Our attorneys and investigators use a variety of techniques to measure sustainable slip resistances on surfaces to determine who ought to be held liable. Additionally, we have slip meters at our disposal to test the slip index of a give surface. For free professional and effective slip and fall consultation, contact the Law Offices of Gregory Krasovsky today. Ideally, those filing a claim should have some evidence, photographic or otherwise, that the surface was dangerously slipper. The sooner you contact us, the sooner we can help you claim your damages.